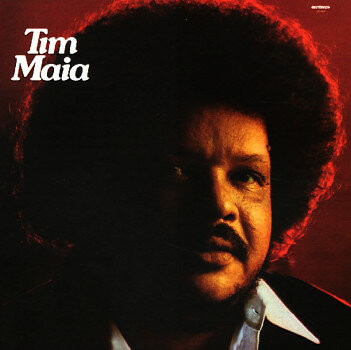 70s soul from Brazil – and a tremendously strong effort from the legendary Tim Maia! This record was Tim's first after an initial run on Polydor – and it shows Maia tightening up his groove even more, but still avoiding the slicker sounds of later years. There's a really focused sound here that's totally great – one that shows that Maia's work was hardly just some happy cross-cultural accident, and instead the careful work of an artist who was out to challenge the best American soul acts of the time! There's a warm little groove to most of the tracks – tripping along lightly in the vein of some of our favorite US mellow soul from the mid 70s – an approach that's mostly soul, but with some funky undercurrents – and often smooth, but never cloying or overly commercial. Titles include "Ride Twist & Roll", "Flores Belas", "Let It All Hang Out", "Sem Voce", "E Necessario", "Leva O Meu Blue", "Pense Menos", and "Musica Para Betinha". © 1996-2019, Dusty Groove, Inc.